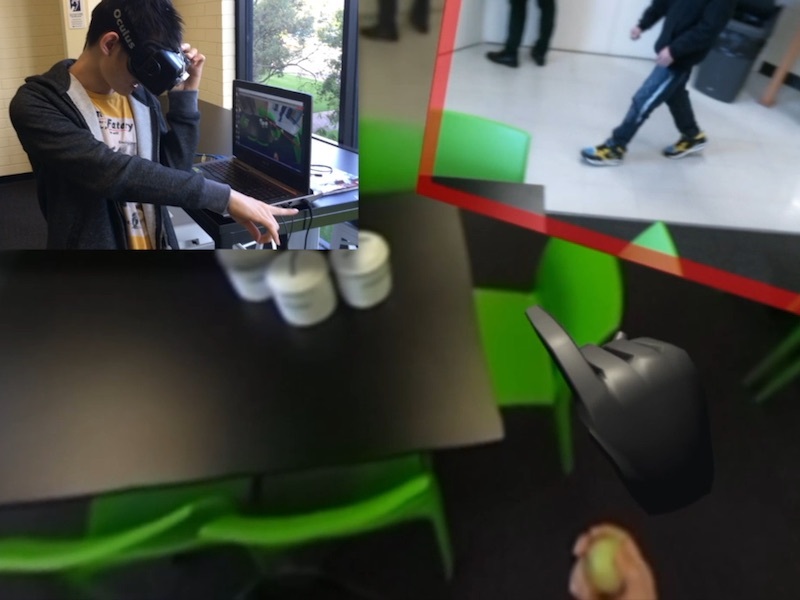 We present Mini-Me, an adaptive avatar for enhancing Mixed Reality (MR) remote collaboration between a local Augmented Reality (AR) user and a remote Virtual Reality (VR) user. The Mini-Me avatar represents the VR user's gaze direction and body gestures while it transforms in size and orientation to stay within the AR user's field of view. 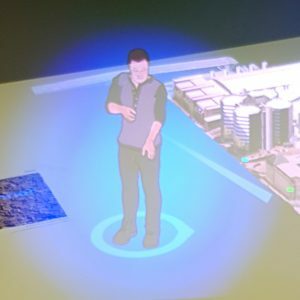 A user study was conducted to evaluate Mini-Me in two collaborative scenarios: an asymmetric remote expert in VR assisting a local worker in AR, and a symmetric collaboration in urban planning. We found that the presence of the Mini-Me significantly improved Social Presence and the overall experience of MR collaboration. Head and eye movement can be leveraged to improve the user's interaction repertoire for wearable displays. Head movements are deliberate and accurate, and provide the current state-of-the-art pointing technique. 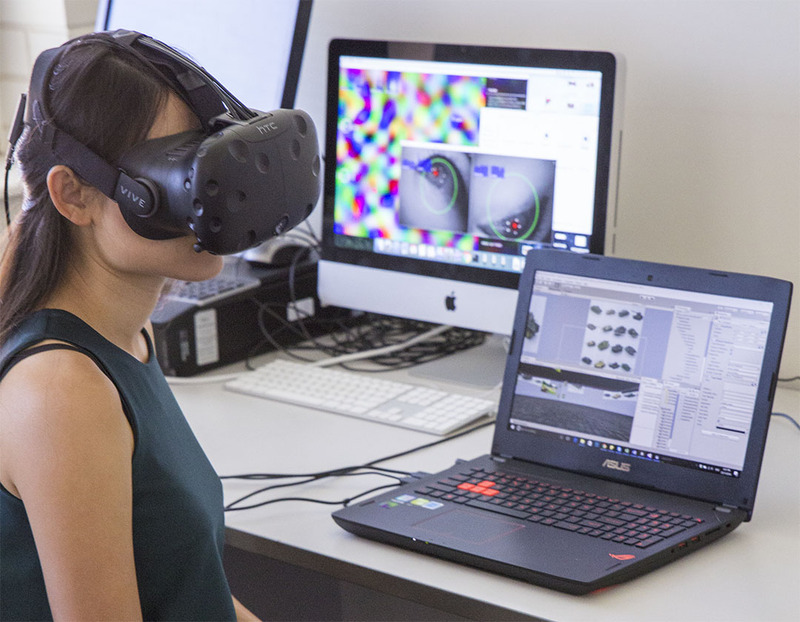 Eye gaze can potentially be faster and more ergonomic, but suffers from low accuracy due to calibration errors and drift of wearable eye-tracking sensors. This work investigates precise, multimodal selection techniques using head motion and eye gaze. A comparison of speed and pointing accuracy reveals the relative merits of each method, including the achievable target size for robust selection. We demonstrate and discuss example applications for augmented reality, including compact menus with deep structure, and a proof-of-concept method for on-line correction of calibration drift. This paper presents ongoing work on a design exploration for mixed-scale gestures, which interleave microgestures with larger gestures for computer interaction. We describe three prototype applications that show various facets of this multi-dimensional design space. 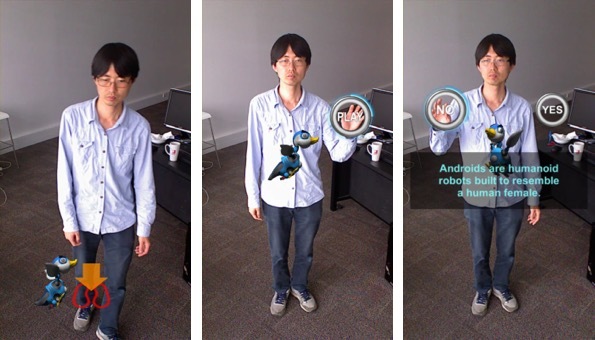 These applications portray various tasks on a Hololens Augmented Reality display, using different combinations of wearable sensors. Future work toward expanding the design space and exploration is discussed, along with plans toward evaluation of mixed-scale gesture design. This paper presents the ongoing development of a proof-of-concept, adaptive system that uses a neurocognitive signal to facilitate efficient performance in a Virtual Reality visual search task. The Levity system measures and interactively adjusts the display of a visual array during a visual search task based on the user's level of cognitive load, measured with a 16-channel EEG device. Future developments will validate the system and evaluate its ability to improve search efficiency by detecting and adapting to a user's cognitive demands. 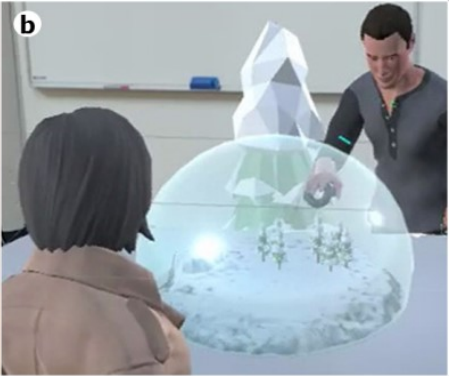 We present Snow Dome, a Mixed Reality (MR) remote collaboration application that supports a multi-scale interaction for a Virtual Reality (VR) user. 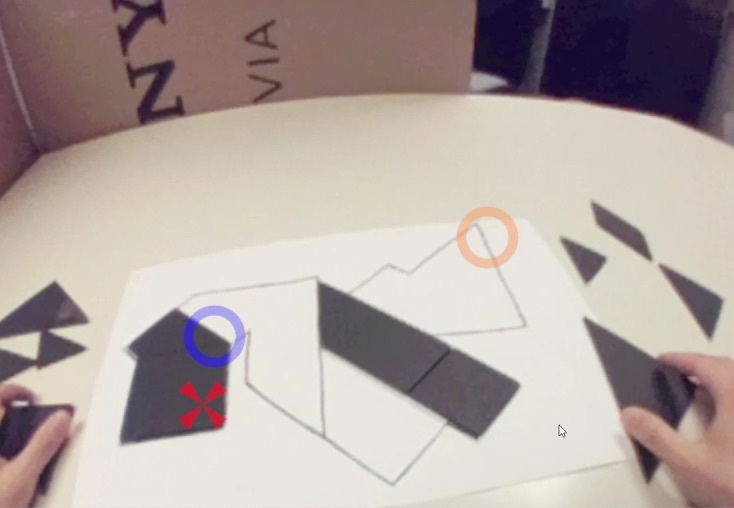 We share a local Augmented Reality (AR) user's reconstructed space with a remote VR user who has an ability to scale themselves up into a giant or down into a miniature for different perspectives and interaction at that scale within the shared space. We describe a method and a prototype implementation for filtering shared social data (eg, 360 video) in a wearable Augmented Reality (eg, HoloLens) application. The data filtering is based on user-viewer relationships. For example, when sharing a 360 video, if the user has an intimate relationship with the viewer, then full fidelity (ie the 360 video) of the user's environment is visible. But if the two are strangers then only a snapshot image is shared. By varying the fidelity of the shared content, the viewer is able to focus more on the data shared by their close relations and differentiate this from other content. Also, the approach enables the sharing-user to have more control over the fidelity of the content shared with their contacts for privacy. In a team, the strong bonds that can form between teammates are often seen as critical for reaching peak performance. This perspective may need to be reconsidered, however, if some team members are autonomous robots since establishing bonds with fundamentally inanimate and expendable objects may prove counterproductive. Previous work has measured empathic responses towards robots as singular events at the conclusion of experimental sessions. As relationships extend over long periods of time, sustained empathic behavior towards robots would be of interest. 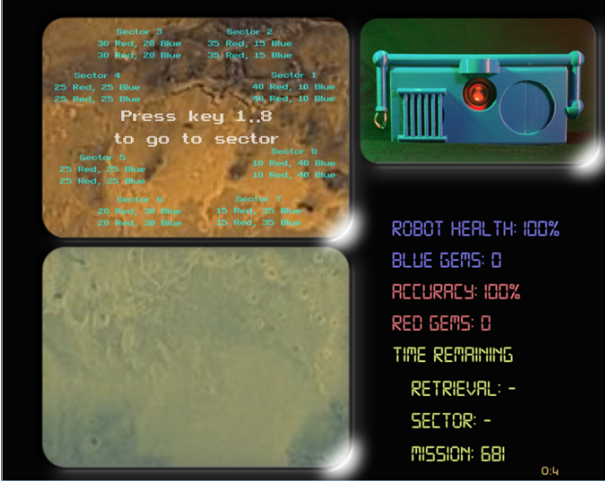 In order to measure user actions that may vary over time and are affected by empathy towards a robot teammate, we created the TEAMMATE simulation system. Our findings suggest that inducing empathy through a back story narrative can significantly change participant decisions in actions that may have consequences for a robot companion over time. The results of our study can have strong implications for the overall performance of human machine teams. and Butler, Anthony P. H.
This paper presents a novel 2D/3D desktop virtual reality hybrid user interface for radiology that focuses on improving 3D manipulation required in some diagnostic tasks. An evaluation of our system revealed that our hybrid interface is more efficient for novice users and more accurate for both novice and experienced users when compared to traditional 2D only interfaces. This is a significant finding because it indicates, as the techniques mature, that hybrid interfaces can provide significant benefit to image evaluation. Our hybrid system combines a zSpace stereoscopic display with 2D displays, and mouse and keyboard input. It allows the use of 2D and 3D components interchangeably, or simultaneously. The system was evaluated against a 2D only interface with a user study that involved performing a scoliosis diagnosis task. There were two user groups: medical students and radiology residents. We found improvements in completion time for medical students, and in accuracy for both groups. In particular, the accuracy of medical students improved to match that of the residents. Kim, S., Billinghurst, M., & Lee, G. (2018). The Effect of Collaboration Styles and View Independence on Video-Mediated Remote Collaboration. Computer Supported Cooperative Work (CSCW), 1-39. This paper investigates how different collaboration styles and view independence affect remote collaboration. Our remote collaboration system shares a live video of a local user’s real-world task space with a remote user. The remote user can have an independent view or a dependent view of a shared real-world object manipulation task and can draw virtual annotations onto the real-world objects as a visual communication cue. With the system, we investigated two different collaboration styles; (1) remote expert collaboration where a remote user has the solution and gives instructions to a local partner and (2) mutual collaboration where neither user has a solution but both remote and local users share ideas and discuss ways to solve the real-world task. In the user study, the remote expert collaboration showed a number of benefits over the mutual collaboration. With the remote expert collaboration, participants had better communication from the remote user to the local user, more aligned focus between participants, and the remote participants’ feeling of enjoyment and togetherness. However, the benefits were not always apparent at the local participants’ end, especially with measures of enjoyment and togetherness. The independent view also had several benefits over the dependent view, such as allowing remote participants to freely navigate around the workspace while having a wider fully zoomed-out view. The benefits of the independent view were more prominent in the mutual collaboration than in the remote expert collaboration, especially in enabling the remote participants to see the workspace. Fiducial markers are images or landmarks placed in real environment, typically used for pose estimation and camera tracking. Reliable fiducials are strongly desired for many augmented reality (AR) applications, but currently there is no systematic method to design highly reliable fiducials. 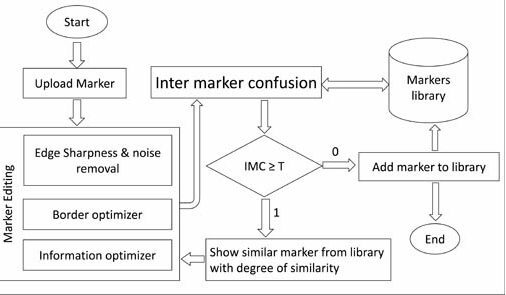 In this paper, we present fiducial marker optimizer (FMO), a tool to optimize the design attributes of ARToolKit markers, including black to white (B:W) ratio, edge sharpness, and information complexity, and to reduce inter-marker confusion. For these operations, the FMO provides a user friendly interface at the front-end and specialized image processing algorithms at the back-end. We tested manually designed markers and FMO optimized markers in ARToolKit and found that the latter were more robust. The FMO will be used for designing highly reliable fiducials in easy to use fashion. It will improve the application's performance, where it is used. 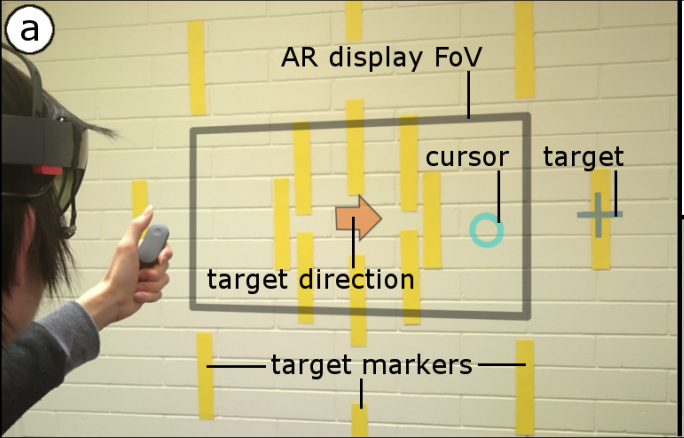 This research investigates using user interface (UI) agents for guiding gesture based interaction with Augmented Virtual Mirrors. Compared to prior work in gesture interaction, where graphical symbols are used for guiding user interaction, we propose using UI agents. We explore two approaches for using UI agents: 1) using a UI agent as a delayed cursor and 2) using a UI agent as an interactive button. We conducted two user studies to evaluate the proposed designs. The results from the user studies show that UI agents are effective for guiding user interactions in a similar way as a traditional graphical user interface providing visual cues, while they are useful in emotionally engaging with users. To improve remote collaboration in video conferencing systems, researchers have been investigating augmenting visual cues onto a shared live video stream. 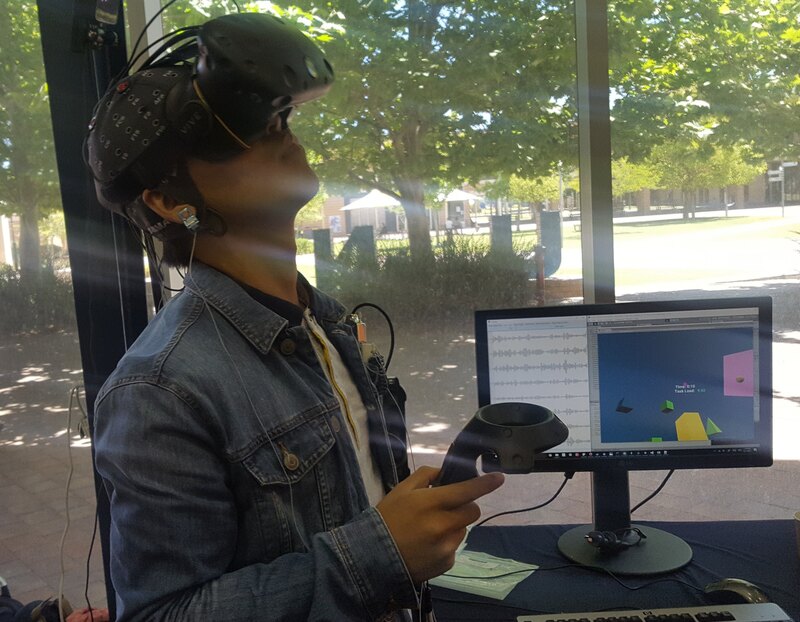 In such systems, a person wearing a head-mounted display (HMD) and camera can share her view of the surrounding real-world with a remote collaborator to receive assistance on a real-world task. While this concept of augmented video conferencing (AVC) has been actively investigated, there has been little research on how sharing gaze cues might affect the collaboration in video conferencing. This paper investigates how sharing gaze in both directions between a local worker and remote helper in an AVC system affects the collaboration and communication. 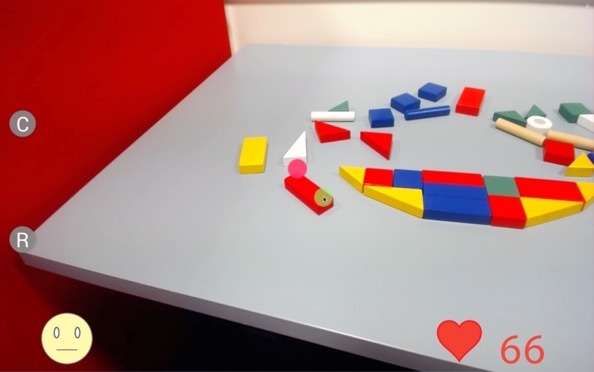 Using a prototype AVC system that shares the eye gaze of both users, we conducted a user study that compares four conditions with different combinations of eye gaze sharing between the two users. The results showed that sharing each other’s gaze significantly improved collaboration and communication. Eye tracking technology in a head-mounted display has undergone rapid advancement in recent years, making it possible for researchers to explore new interaction techniques using natural eye movements. This paper explores three novel eye-gaze-based interaction techniques: (1) Duo-Reticles, eye-gaze selection based on eye-gaze and inertial reticles, (2) Radial Pursuit, cluttered-object selection that takes advantage of smooth pursuit, and (3) Nod and Roll, head-gesture-based interaction based on the vestibulo-ocular reflex. In an initial user study, we compare each technique against a baseline condition in a scenario that demonstrates its strengths and weaknesses. 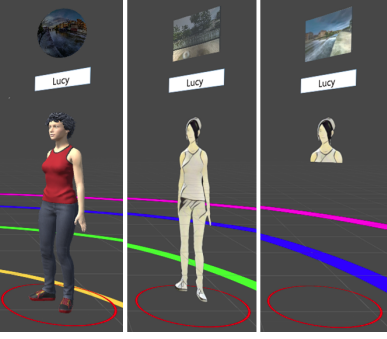 We present results from research exploring the effect of sharing virtual gaze and pointing cues in a wearable interface for remote collaboration. 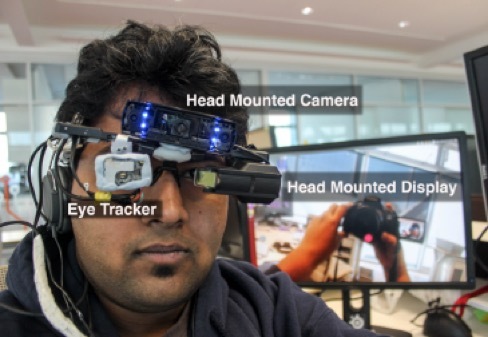 A local worker wears a Head-mounted Camera, Eye-tracking camera and a Head-Mounted Display and shares video and virtual gaze information with a remote helper. The remote helper can provide feedback using a virtual pointer on the live video view. The prototype system was evaluated with a formal user study. Comparing four conditions, (1) NONE (no cue), (2) POINTER, (3) EYE-TRACKER and (4) BOTH (both pointer and eye-tracker cues), we observed that the task completion performance was best in the BOTH condition with a significant difference of POINTER and EYETRACKER individually. The use of eye-tracking and a pointer also significantly improved the co-presence felt between the users. We discuss the implications of this research and the limitations of the developed system that could be improved in further work. 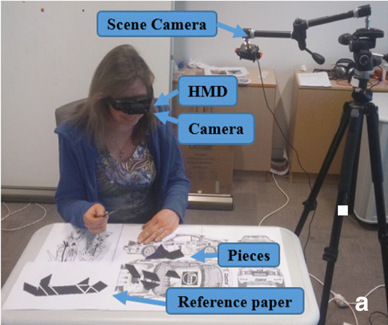 In this paper, we describe a demonstration of remote collaboration system using Empathy glasses. Using our system, a local worker can share a view of their environment with a remote helper, as well as their gaze, facial expressions, and physiological signals. The remote user can send back visual cues via a see-through head mounted display to help them perform better on a real world task. The system also provides some indication of the remote users face expression using face tracking technology. 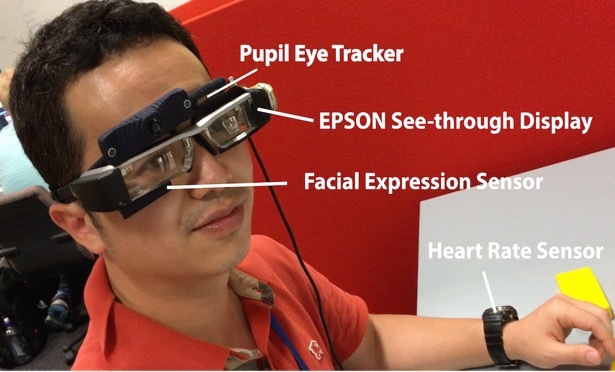 In this paper, we describe Empathy Glasses, a head worn prototype designed to create an empathic connection between remote collaborators. The main novelty of our system is that it is the first to combine the following technologies together: (1) wearable facial expression capture hardware, (2) eye tracking, (3) a head worn camera, and (4) a see-through head mounted display, with a focus on remote collaboration. Using the system, a local user can send their information and a view of their environment to a remote helper who can send back visual cues on the local user's see-through display to help them perform a real world task. A pilot user study was conducted to explore how effective the Empathy Glasses were at supporting remote collaboration. We describe the implications that can be drawn from this user study.